Ariel Barnes and Heidi Krutzen’s new duo, Couloir, is the most natural development in the world. And it’s also a rather odd thing, when you come to think of it—but we’ll think of that later. The two musicians have already shared some scintillating on-stage moments as members of the Vancouver Opera Orchestra, the Turning Point Ensemble, and a host of other, smaller chamber-music groups. In fact, they’ve known each other for almost all of their professional lives. But there was one small impediment to getting Couloir up and running: they didn’t have anything to play. The problem is that Krutzen plays harp, while Barnes is a cellist. 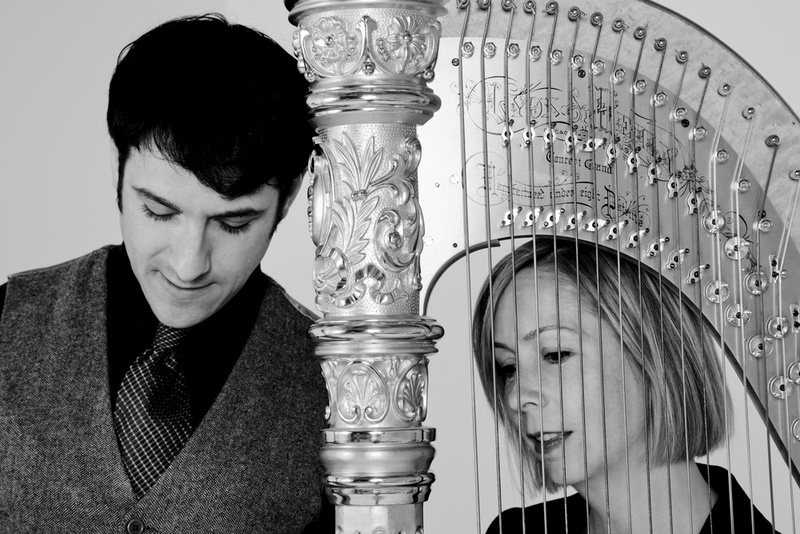 Only a handful of composers have ever written for this particular instrumental combination, and for good reason: counting Couloir, says Krutzen, there may be only three professional harp-and-cello duos in the world. It was immediately obvious that the new group would have to commission some even newer material, and the first of its purpose-made pieces can be heard when Couloir makes its debut at the second annual Modulus Festival. Devoted to the more audience-friendly end of contemporary art music and curated by Music on Main’s insightful David Pay, the event takes place at Heritage Hall on Friday and Saturday (September 30 and October 1). At it, Barnes and Krutzen will premiere Vancouver composer Jocelyn Morlock’s Three Meditations on Light, while contributions from Winnipeg’s Glenn Buhr and his American counterpart Baljinder Sekhon will be ready for the duo’s second hometown appearance, scheduled for December. Morlock, whose writing is both accessible and rather beautifully eccentric, admits she had mixed feelings when first contacted to write for the group. The second movement, “Bioluminescence”, was also inspired by the natural world, while the third, “The Absence of Light”, draws on mythic sources. Although Morlock describes herself, rather diplomatically, as “not your typical religious person”, there is a spiritual dimension to Three Meditations on Light that should satisfy Couloir’s interest in music that has a transcendental dimension. This is also true of the other pieces on the duo’s Modulus Festival program, Nico Muhly’s Clear Music, based on a passage from a John Taverner choral score, and Ukrainian composer Valeri Kikta’s Sonata for Cello and Harp, which incorporates a Russian folk melody. Couloir plays Heritage Hall on Saturday (October 1), and a noonhour concert at UBC’s Roy Barnett Hall on Wednesday (October 5). At the age of three, Heidi Krutzen announced to her non-musical parents that she wanted to play the harp. She had to settle for the piano until she was nine and big enough to tackle the hefty, 47-string instrument of her choice. At the age of three, Ariel Barnes, whose parents are both professional musicians, started playing the violin. By the time he was five, he had switched to the cello. As longtime colleagues in the Vancouver Opera Orchestra and the Turning Point Ensemble, Krutzen and Barnes realized a few years back that her harp and his cello could make a fine blend. “The minute we tried playing together, we just realized the incredible spectrum of colour that we can delve into, that we loved making music together, and that the two instruments together are really spectacular,” Krutzen says. There was just one snag: very little music existed for their combination of instruments. Their response? Get some composers to write more. In fact, since last October’s debut of their duo, Couloir, they have premiered no fewer than three works written especially for them. “One of the prime focuses of Couloir is to develop literature for the instruments,” Barnes says. Krutzen admits some people get nervous when they hear the term “new music”, but quickly adds that composers such as Bach or Mozart met the same reaction in their day. “We are very interested in presenting music that is going to resonate with people right now, that they’re going to understand and be able to connect with,” she says. Still, they don’t mind pushing boundaries. One of the commissioned pieces Couloir will introduce to the Whitehorse Concerts audience next week at the Yukon Arts Centre is Drifting Seeds, by a young American composer, Baljinder Sekhon. “I came across Baljinder quite by accident, and found one of his pieces for cello and percussion, and I think what I loved about it was its rhythmic intensity,” Krutzen says. Another recent work Couloir will offer next week is a new sonata by Ukrainian composer Valery Kikta, based on a traditional Russian folk song. “It sounds as if it could have been written 150 years ago,” Barnes says. Not everything the duo plays falls into the “new music” category, unless one considers Manuel de Falla (1874-1946) or Maurice Ravel (1875-1937) as “new” composers. “We do play arrangements of some music that’s been around, some more traditional music,” Barnes explains. “The de Falla Suite populaire espagnole is a wonderful set of folk songs that have been arranged in art music, and have a very simple meaning and very understandable character,” he says. The duo will also present Ravel’s ever-popular Habanera as what Krutzen terms “a little amuse-bouche” for the Whitehorse audience. To round out the program, Couloir will go back to the 17th century court of King Louis XIV with a work by Marin Marais, whom Barnes describes as one of the premier viola da gamba, or viol, players in the history of classical art music. “His Five French Dances is a piece that Heidi introduced me to, actually,” he says. Couloir’s performance for Whitehorse Concerts on Saturday, September 29, is under the auspices of the Prairie Debut touring network. Ken Bolton is our co-editor in Whitehorse.